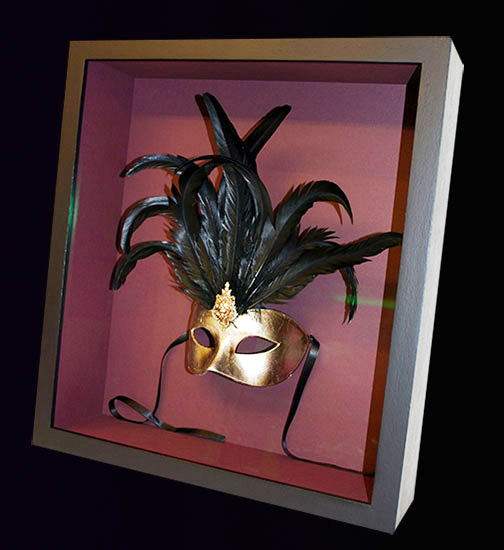 This Venetian masquerade mask was framed in a tall box frame. Dramatic aubergine mount card was used as background as well as the fillet to separate the glass and object. The mask was hand-stitched so it can be removed undamaged at a later date and the ties left to dangle to enable the customer to change their position. The glass is anti-glare providing colour enhancement as well as cutting down reflection from external lighting sources.